It is important to know what developmental milestones are so that we can help children be successful. Please use the links below to learn more about these milestones and what you should look for at different ages. What should children know before starting kindergarten? Information about Ohio’s Kindergarten Readiness Assessment, as well as tips and checklists related to school readiness can be found at this link: http://education.ohio.gov/Topics/Early-Learning/Kindergarten/Ohios-Kindergarten-Readiness-Assessment. Need help with parenting strategies? Our Resource Library can help! We offer a variety of free resources and services to support parents, children and the community in the Resource Library. Each of our three offices offers a Resource Library but availability of items and hours of operation may vary by location. Contact your YWCA CCR&R location to schedule a visit or to reserve an item. Baby T.A.L.K (Teaching Activities for Learning and Knowledge) is a program where a YWCA Outreach Parent Specialist demonstrates and models interactive play based learning activities for children birth to school age. The focus of the program is to enhance parent-child interactions and increase educational opportunities through simple, everyday activities. Each family receives a copy of a featured book, as well as written materials that support the modeled activity. The Baby TALK program also offers a parent gathering called Family Fun Times. Parents and their children come together with other community families to share in a literacy activity based on a pre-selected age appropriate book. 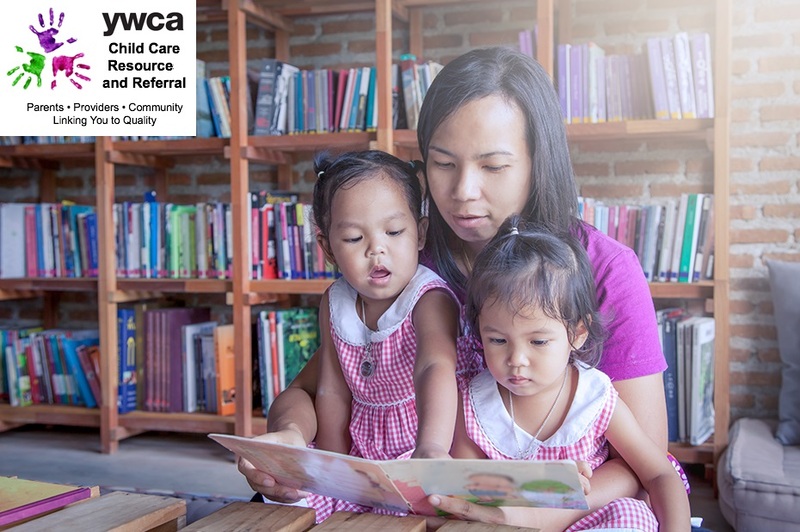 Family Fun Literacy Group is a kindergarten readiness support program that exposes parents and children, ages birth to 5 years, to quality literature and coaching for extended early learning in the home. Attendees at the group events receive books, at home activity extension kits, coaching and modeling, a light meal and socialization. Groups are held 4 times per month with a maximum of 30 families. For more information, please contact your local CCR&R office. any particular provider nor can assure you that any provider gives quality care.